"I am open to all opportunities for positive change today." 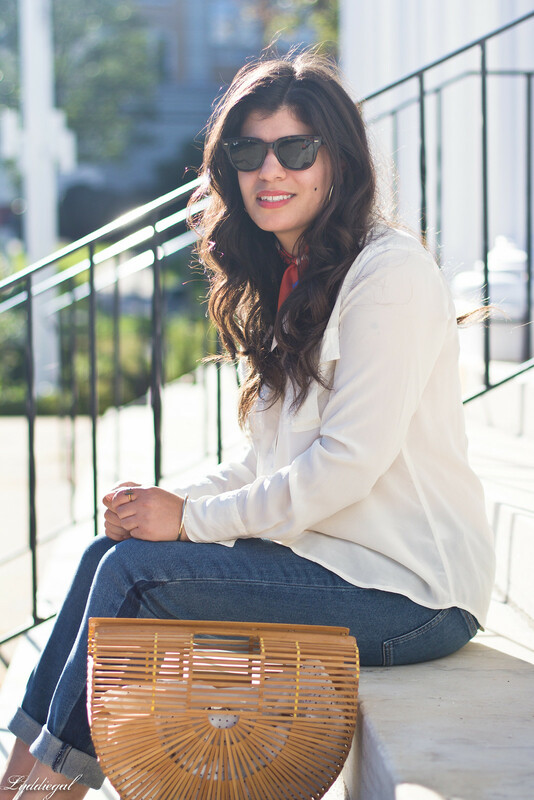 I often wager that my closet would be a lot smaller if not for other bloggers. This outfit is quite literally a combination of Meg, Jessica, and Jessica. So thanks ladies! It officially feels like denim weather here. The days are still pretty warm, but without the sun it's just so chilly! The perfect time of year for cropped jeans, so hopefully I'll get a lot of wear from this new pair while the weather cooperates. I really do love denim weather. It's the kind I wish would stick around forever. We're still alternating between super hot days - it hit 33 Celsius yesterday! - and cooler ones, so it's hard to know how to dress in the morning. But when denim weather officially makes it here, I definitely want to recreate this look - everything about it is just so perfectly effortless. 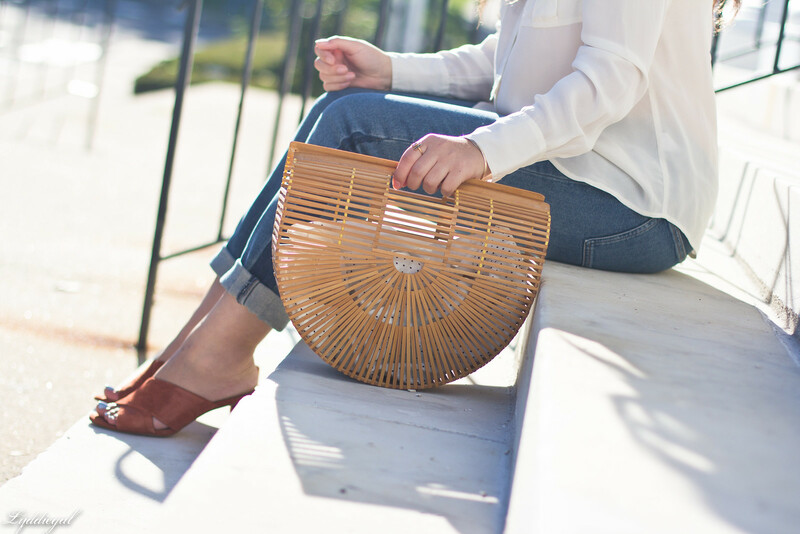 And I finally found a pair of heeled mules that I love, so I have everything I need in my closet already, too! Yayyyy jean twins!! They look great on you! Loving this whole look. 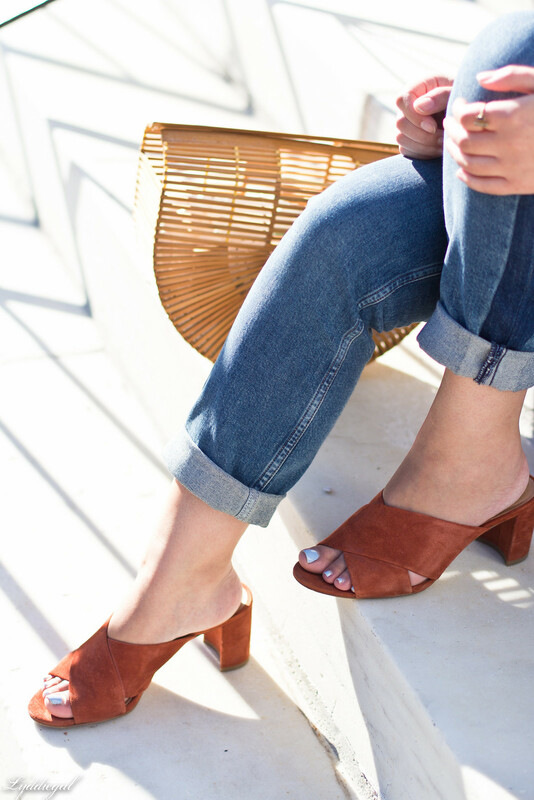 Those mules get me every time, I love the color! 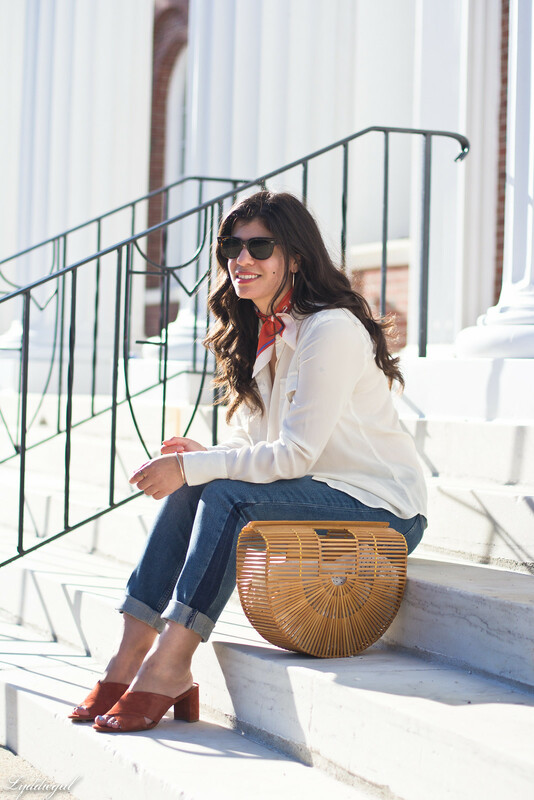 My closet is definitely larger owing to the inspiration I get from other bloggers! Not just in the sense that I acquire a lot of pieces but I've also noticed that I hang on to pieces longer because I keep finding new ways to wear them. Love these slides, I really want a similar pair. Beautifully done ! a great tribute to these 3 fab ladies as you are rocking it. I am glad you are squeezing the life out of the last warm days. I always get a lot of inspiration from bloggers as well. Definitely more so than models or designers. 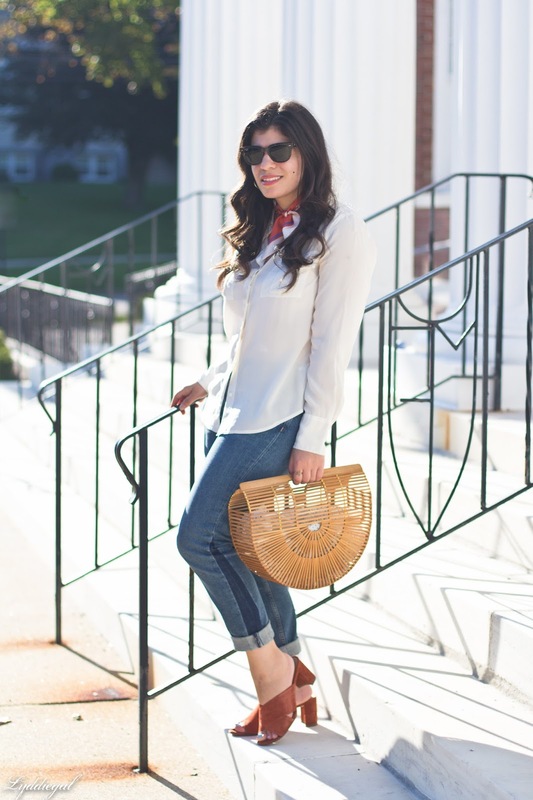 I love the neck scarf and the mules! I love those mules! And a white button up is so classic. Adding the little trendy accessories is so cute and is perfect for fall! 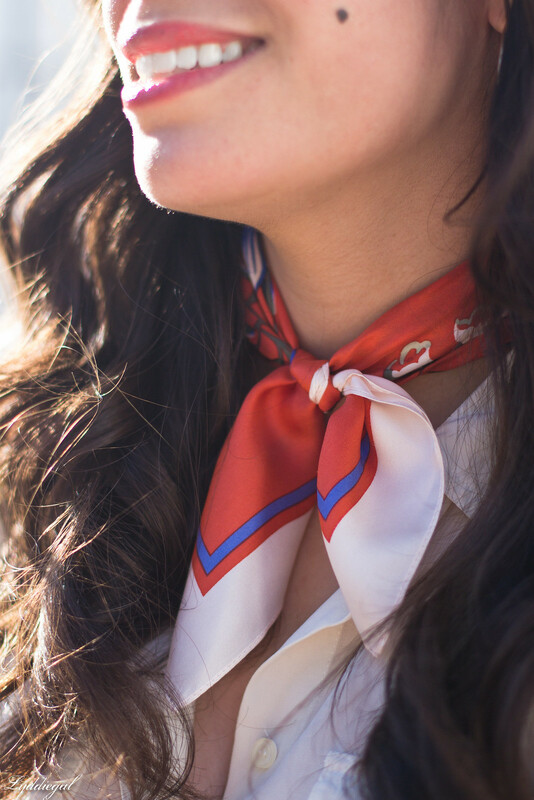 I love the scarf with the button up top! It's amazing what one little addition can do to an outfit! So chic! That scarf is beautiful and I love the side detail on the denim! I know exactly what you mean----but it's also so fun!! My closet would be so much smaller without other bloggers too! I love this look, especially the scarf and those mules! Gorgeous! 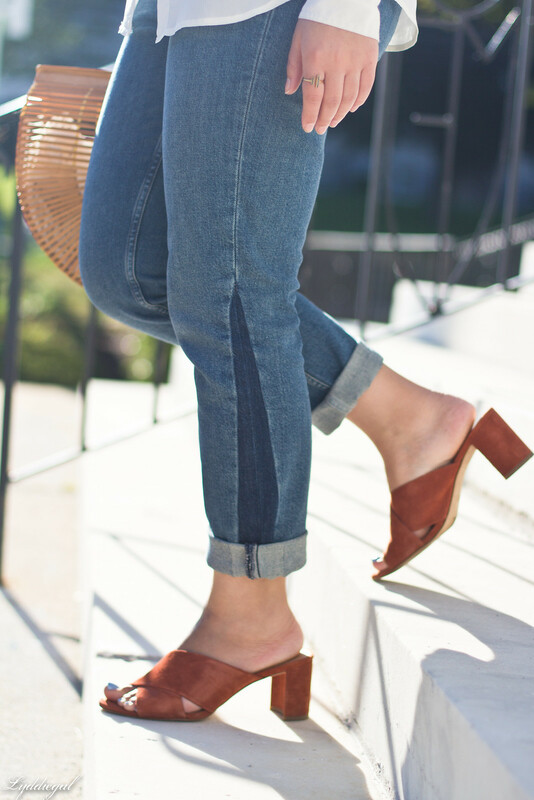 Such a perfect transitional look! Simple and so classic. 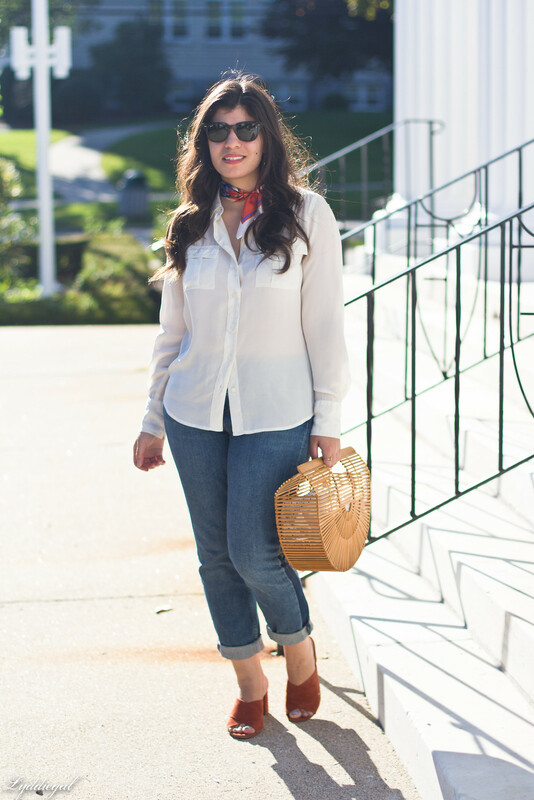 Love your neck scarf and mules! You look so classy tomboy look for me.